Who’s the fairest of them all? It’s you. Maybe? 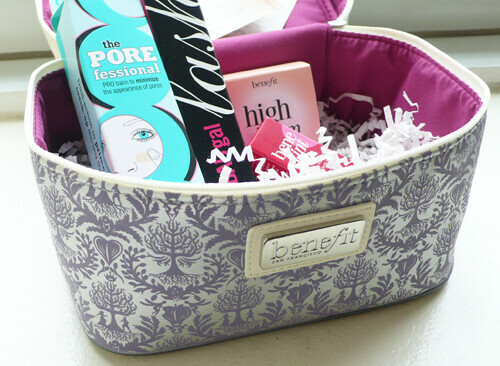 Because I’m giving away this amazing Benefit Rare Beauty Kit ($45) in honor of their Snow White & The Huntsman collab! The Porefessional PRO Balm to Minimize Pores (full size) | Bad Gal Lash (full size) | High Beam Luminescent Complexion Enhancer (mini) | Benetint Rose Tinted Lip & Cheek Stain (mini) | Cute train case + tutorials! I use and love all of these products - the Bad Gal is my favorite mascara for a lusher look - and the Rare Beauty look is super pretty and do-able (watch it here). TO ENTER TO WIN THIS TRAIN CASE O’ AWESOME ($45) YOU MUST COMPLETE BOTH OF THESE STEPS … PLEASE READ EVERYTHING BELOW. 2. Leave a DISQUS comment below [click through if you’re reading this in tumblr] and tell me, which Benefit product will you rip into first? Don’t comment in “Ask Me Anything” OR in the “FAN NOTE” area of tumblr <— guys, click through please, leave a comment on the blog not inside tumblr! Contest ends next Friday June 1, 2012 at 11.59pm Eastern. 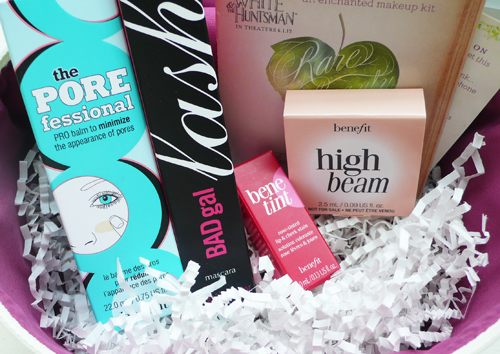 If you subscribe or follow to enter, you must be subscribed or following at the time of the drawing. Multiple comments DO NOT increase your chances of winning but love ya. Winner is drawn at random.